Each one of us aspires to have freedom or make the most out of the last days of our lives. Being imprisoned in a very old age was experienced by Petra Lukingan. Her tragic story touched millions of hearts around the world including the Pope Francis himself. Pope Francis played a huge role in getting her long cherished freedom. She mournfully said her struggles in the correctional facility such as difficulty in getting sleep and her aging body may not sustain the environment of the prison. he was imprisoned because of falsifying public documents. But it does not change the fact that her literacy is inadequate to commit such crime. Her plead that was seen in the nightly news broke the hearts of many Filipinos. Lola Petra served more than 3 years in the Correctional Facility. What is more tragic about her faith is that she was arrested in her late 80s. During the time that she is supposed to be resting in the porches of her residence observing the way, things are from afar. She was featured in a documentary produced by GMA titled 'Dorm 12'. 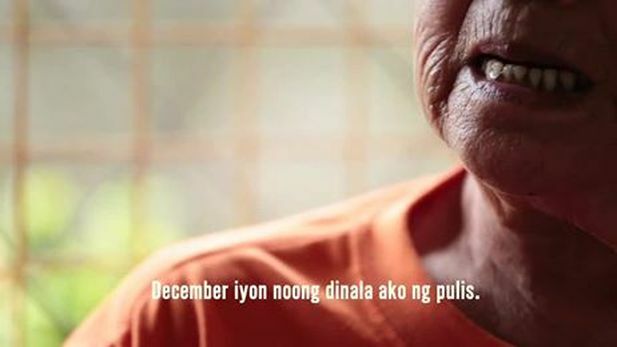 The documentary chronicled her daily living inside the Correctional Institute of Women situated in Mandaluyong City. The riveting documentary cemented I Witness' reputation after obtaining the prestigious Bronze World Medal in 2015. The aforementioned role of Pope Francis in getting Lola Petra's freedom was seen as a divine intervention by many Filipinos. Making rosaries is one of the activities of inmates in Correctional facilities. Petra Lukingan made a rosary which she intended for the Pope. Renowned journalist Kara David gave the rosary to the Pope in the plane bound for Sri Lanka during his papal visit. A month after Kara David gave the rosary to the Pope, she was granted pardon along with other aging inmates. Her freedom is not the only blessing that her extended family got. Her grandson Police Officer 2 Dominick Lukingan serving as SAF managed to survive the infamous Mamasapano encounter. She is now happily living with her family in the Kalinga Province.